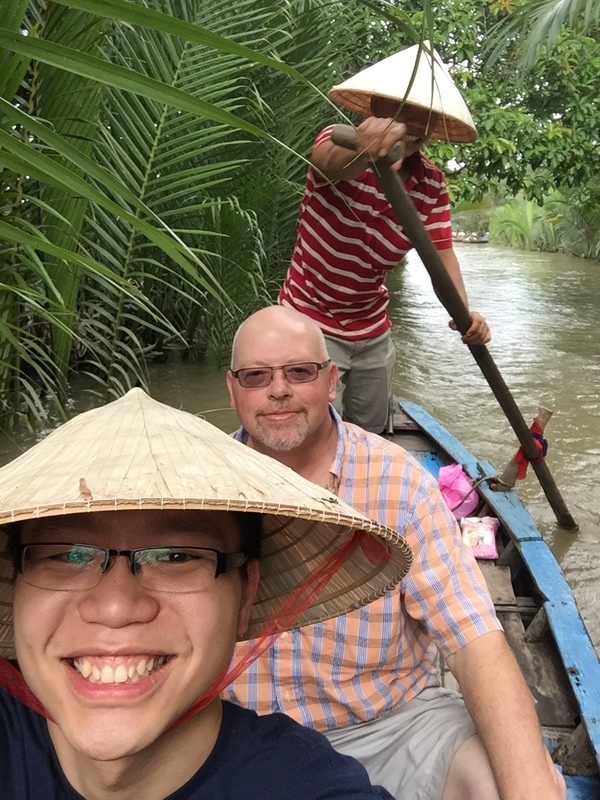 I’ve been back from my Vietnam trip for two weeks now but the memory I had in Vietnam was still vivid. Each time my friends asked me how was Vietnam, I found it difficult to put my two-week experiences in words. 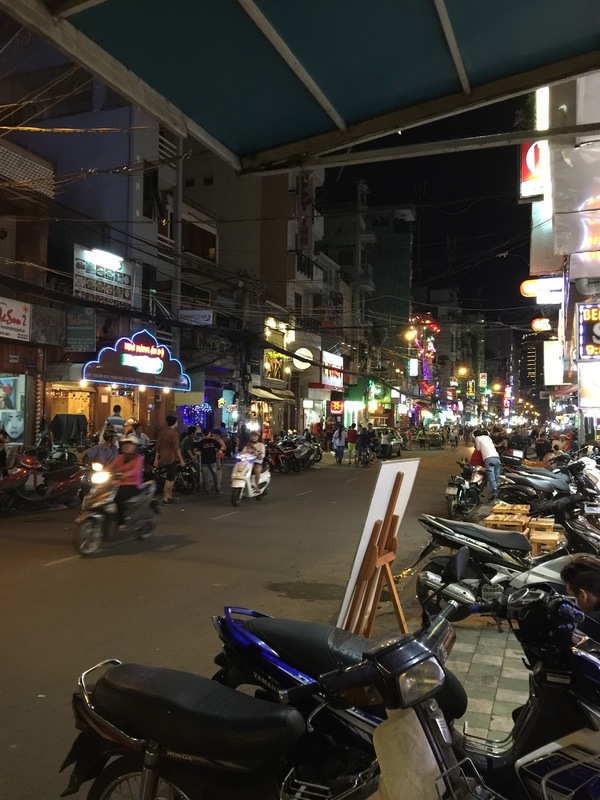 There are so many things I have gone through, from overcoming my fear of crossing the bustling streets of Ho Chi Minh with motorcycles coming from literally all directions, to riding a crazy taxi in Hanoi rushing back to my hostel to catch my sleeper bus ride to Sapa rice terrace. 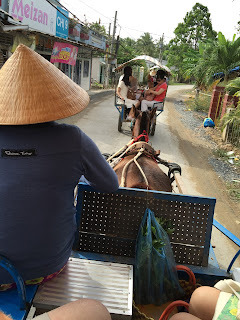 I watched my new found Australian mate riding an ostrich in Mui Ne for VND100k (~RM20), and I myself dived into the freezing water of Halong Bay twice with a rather less gracious posture compared to my friend working for a startup at Silicon Valley (my first dives after all). The memories put into the back of my mind was simply priceless. I know I will remember this trip for an extended period of time. 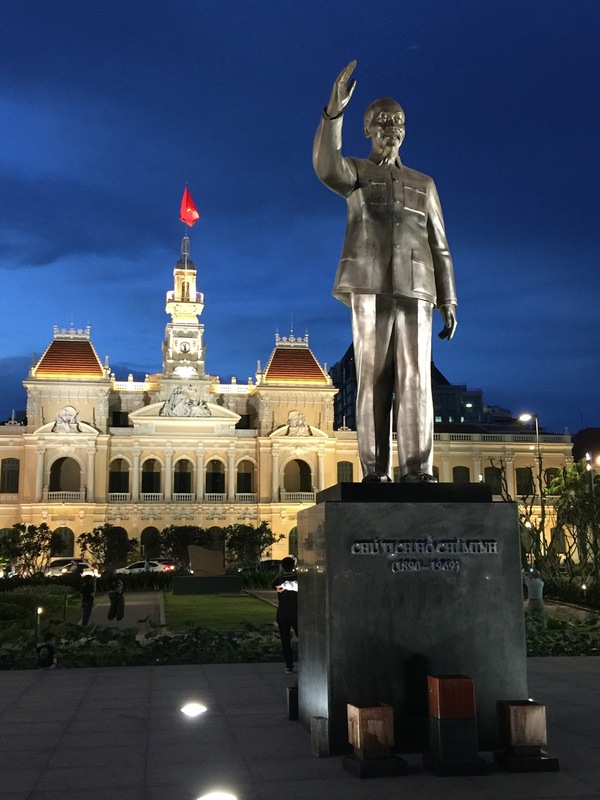 Day 1: Ho Chi Minh, 21 December 2015. It was pretty chaotic with all the motorcycles roaming the streets from all directions. With this kind of traffic accidents are pretty common, but I have yet to witness one. Immediately I was slammed with a challenge I must overcome: crossing the road. Sound easy? Not as you first thought. 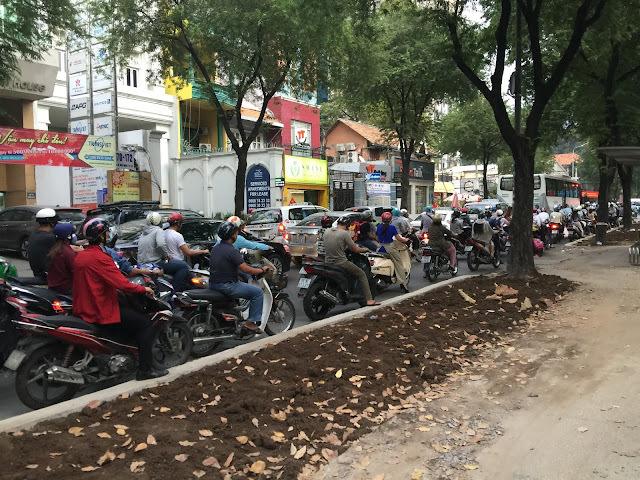 We have cars traffic jam in Malaysia, but in Ho Chi Minh there was motorcycles traffic jam. Having stood at the road side for 5 minutes and observed how the locals did it (crossing the roads), I decided to just close one eye and cross anyway. Beep beep! Okay they honked at everyone and anything that moved! But ultimately nothing happened! I survived, and my first achievement unlocked! 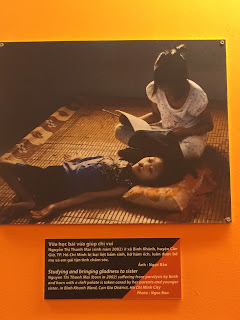 I walked to the War Remnants Museum and spent VND15k only to discover the depressing and sorrowful history of Vietnam War including Orange Agent and Napalm + Chemical war. Downright hideous. My heart ached further when I saw a picture depicting a girl teaching her younger sister to GIVE THANKS despite all the unfortunate destructions happening around. They had probably lost their parents and their lives were at stake. Who am I then to complain over little petty things when I can give thanks for all the things I have? I was ashamed to admit but I could have done better by being extra grateful. Then I went to Cho Ben Thanh market for some Vietnamese food because I had yet to have my lunch. I had my first bowl of Pho Nga (beef noodles soup) and Che Thap Cham (a kind of dessert with fantastic mixture of jelly, beans and nuts). Sweet! After that I went back to my hostel located at the tourist hotspot (Pham Ngu Lao Street), and I met Doris, a Vietnamese girl working with the hostel who also loved travelling! She introduced me with loads of Vietnamese food, and I was really grateful for her sharing. Then I decided to get my hands dirty by trying two shots of Vietnamese coffee. I first went to Highland Coffee, but I felt cheated! “Iced Vietnamese coffee with milk” here basically means a shot of Vietnamese coffee with a little portion of condensed milk, then throw in a ton of ice into the cup. That was my first shot of Vietnamese coffee and I got instantly hitched! 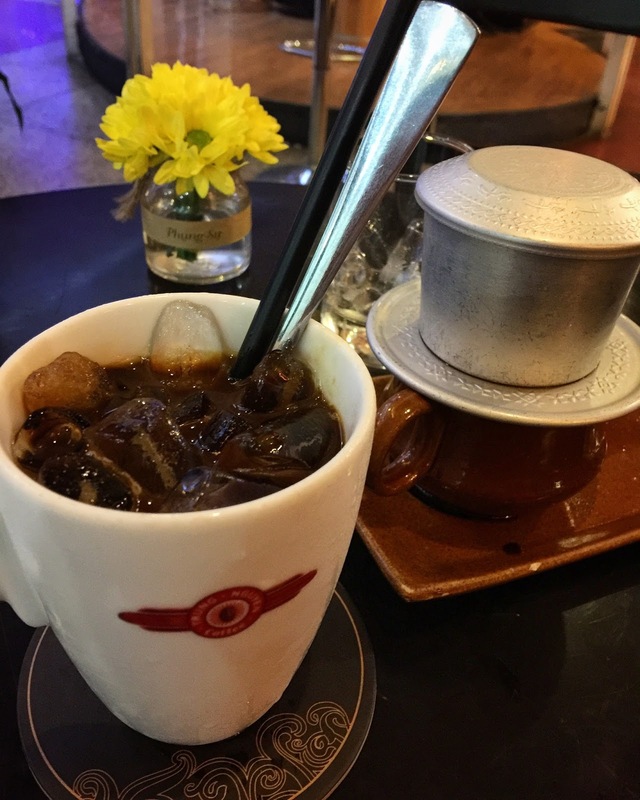 So I decided to walk to Trung Nguyen coffee chain nearby for my second shot of coffee. Pure satisfaction! Day 2: Ho Chi Minh, 22 December 2015. 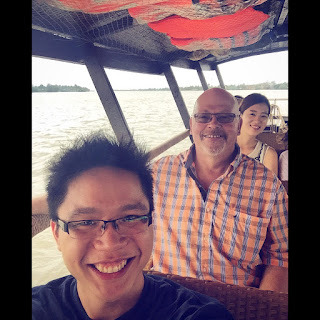 Today was the day for Mekong Delta tour. Just yesterday night I wrote I had yet to witness an accident occurring despite the chaotic traffic condition, and I saw one this morning around a roundabout. Two motorcycles collided and one fell down. Ouch! 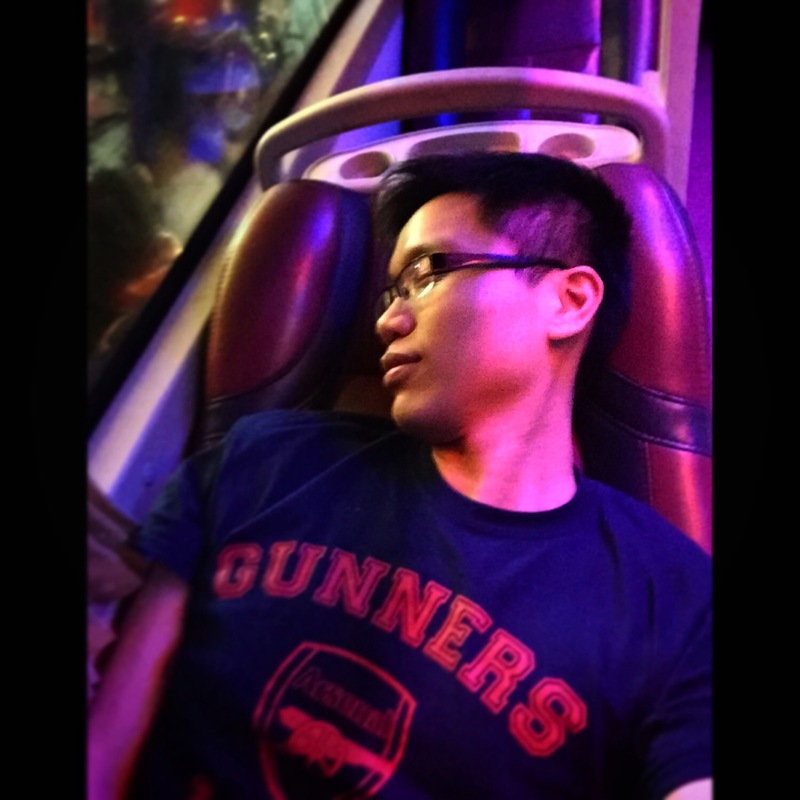 On the bus, I met Ray, a Canadian guy around my dad’s age hailed from Alberta. We talked about many things and inevitably discussed about several life lessons. Ray was also a Christian so we talked about God and how God has touched our lives so immensely. Sometimes I can’t help but ponder how amazing God really is. When I saw Mekong River for the second time in my life, it was still as humongous as the first time I had seen it almost 12 years ago. About 50% of the people in the Mekong Delta tour were Koreans, so I was left talking to Ray most of the time throughout the journey. We hopped onto a boat and went to My Kho, where there were sellers selling delicate handcrafted souvenirs, some of which were pretty tempting! We also got to try a freshly baked thin crispy pancake (like kuih kapit back home) but it was just okay. Our lunch included spring rolls, rice paper wrapped with fried fish, vegetables; plus rice, pork and caramelized clay pot fish. Tasted scrumptious! One thing about Vietnamese food was that they were always served with an excessive portion of fresh vegetables! Unlike back home where the vegetables are normally served in stir fried style. Up to a point where I felt weird when I don’t eat fresh vegetables. Yes it happened and I myself couldn’t believe it because I have been pretty much carnivorous my whole life! 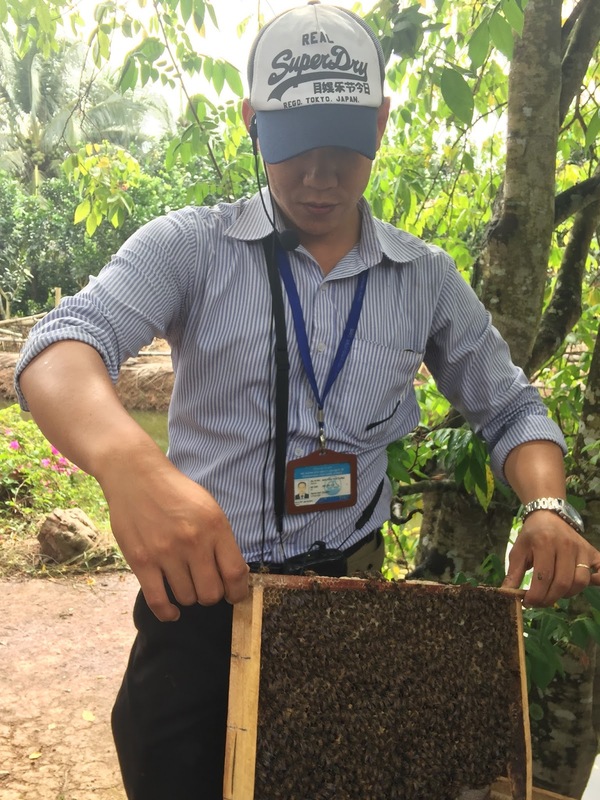 After lunch, we proceed to our next stop – local breed honey. 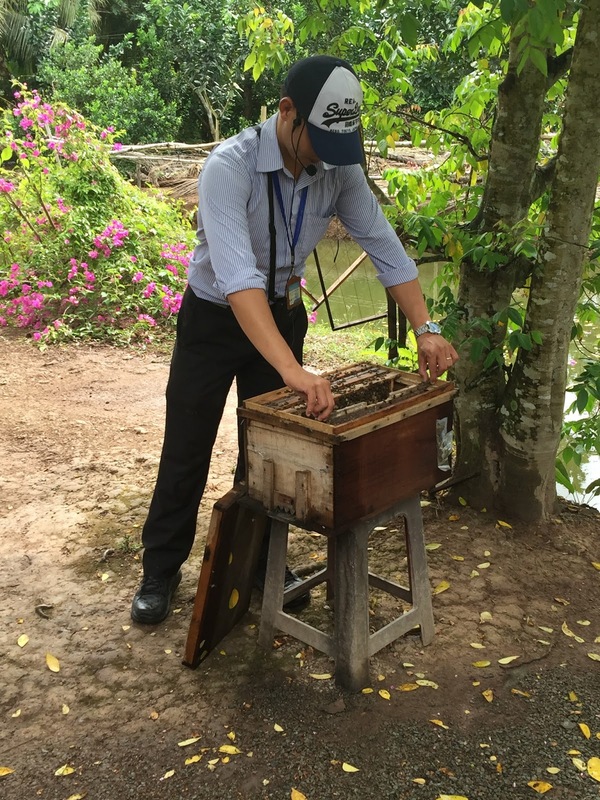 The tour guide was brave and experienced enough to show us the honey collector filled with bees. After having a taster of the sweet honey drink, we went back to the boat and hopped onto gondola sized boat with punter skillfully maneuvering the boat. Reminded me so much of punters in Cambridge. 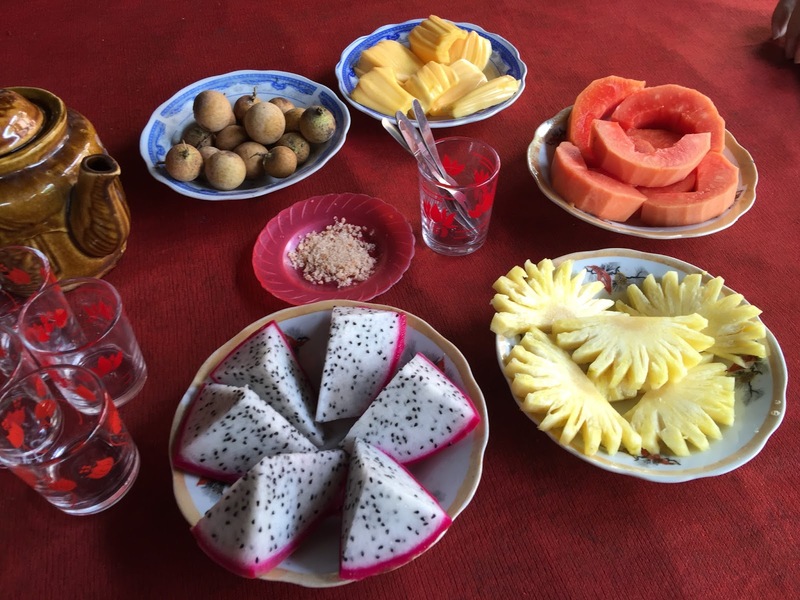 We ended the tour with a short ride on a pony cart and a taster of the local coconut candies, rice wine and some typical tropical fruits such as papaya, jackfruit, pineapple and dragon fruits. Our fruit tasting session was accompanied with a traditional folklore performance with unique Vietnamese musical instruments being played as the backdrop. 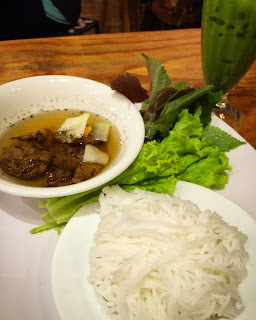 I went back to my hostel and had my first Bun Cha for dinner at Bun Cha 145 nearby! I wished I had tried this earlier because it was really delicious yet reasonably cheap! Nevertheless it was not too late and my stomach was happy! I was glad my visit to Ho Chi Minh ended with such pleasant meal. That night I took Futa Bus (my first ever sleeper bus) from Ho Chi Minh at 11:30pm to Mui Ne. 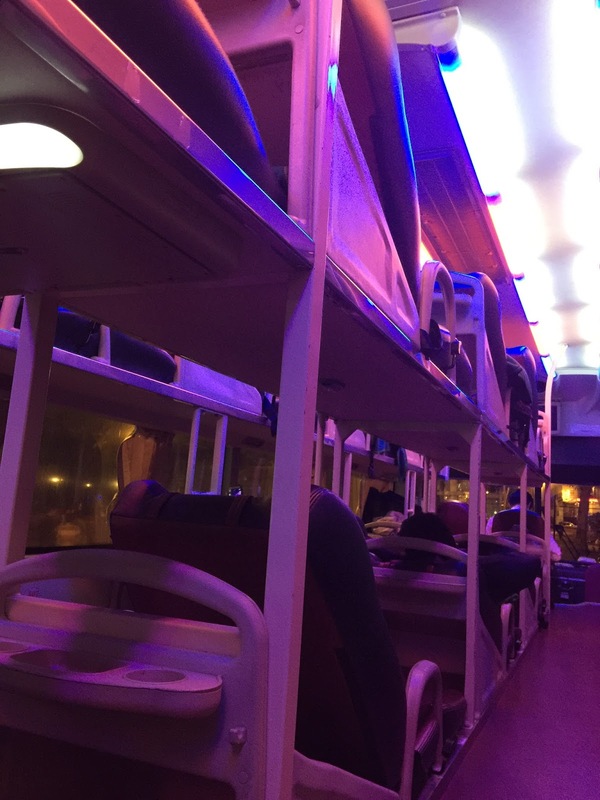 I was amazed by the sleeper bus’s creative and smart design, where passengers can lie down and sleep fairly comfortably throughout the journey to other cities. Apparently this design was not new and has been around for at least 10 years or more. The bus ride was, as I said, fairly comfortable as long as you are not too tall (perfect for an Asian male of 5 feet 7 inch like myself), albeit can be a little noisy with honks everywhere (Hint: Wear earplugs and you shall have a good night rest).